Who has the edge in Camaro vs. Mustang? ? The Chevrolet Camaro-Ford Mustang rivalry and sales race is about to heat up again. 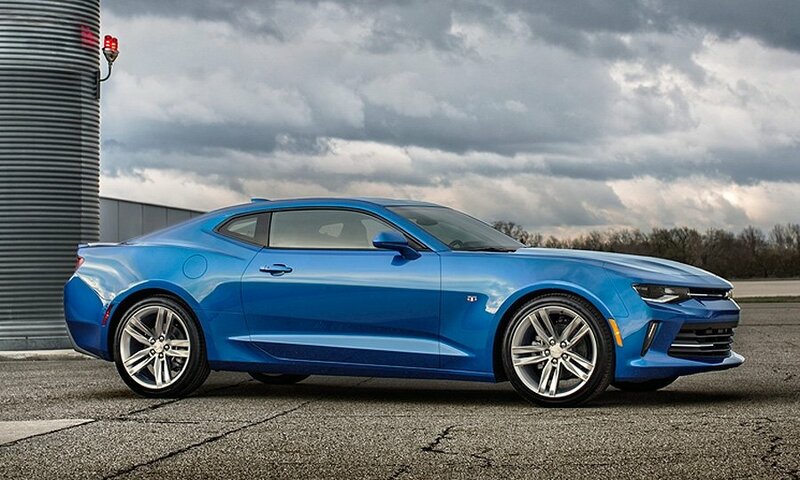 Chevrolet has pulled the covers off the redesigned 2016 Camaro scheduled to arrive this fall. 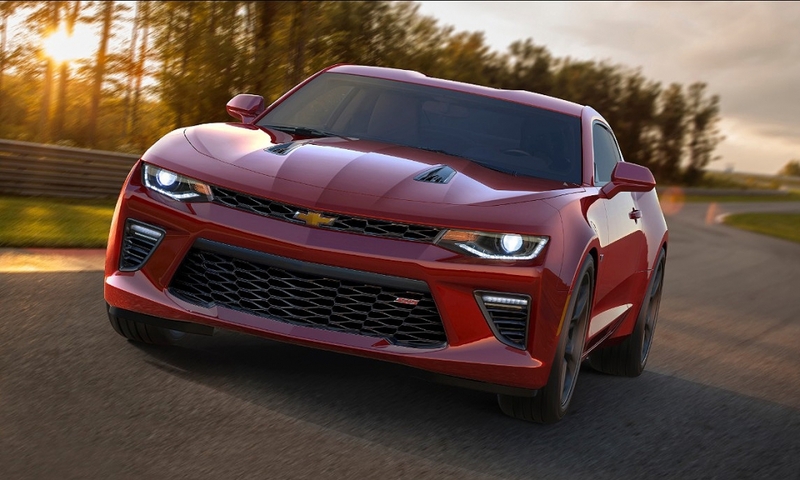 The new Camaro, rebuilt from the wheels up and now riding on the same underpinnings as the Cadillac ATS sport sedan, will face the red-hot Mustang, which was redesigned last year and is getting more enhancements for 2016. 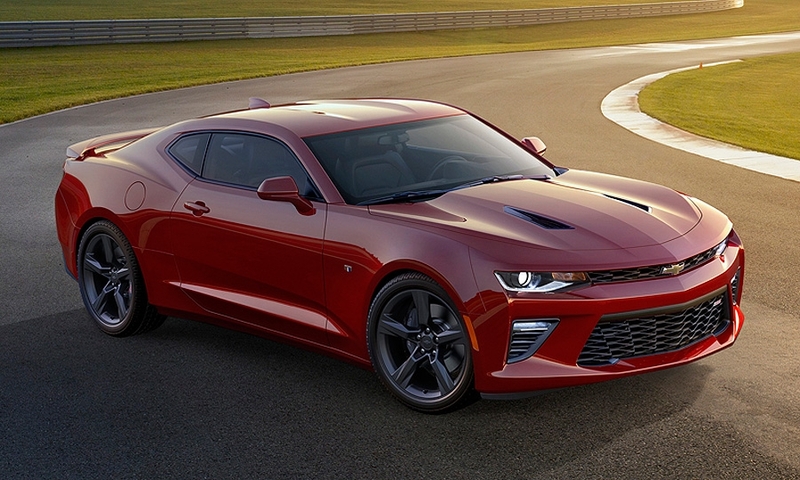 The 2016 Camaro is the first since the mid-1980s to offer a four-cylinder engine. Advantage: Camaro. Two of the Camaro’s three engines outmuscle the Mustang, and the output of the Camaro’s third engine, the 2.0-liter, is closer than the numbers imply. The Mustang’s 2.3-liter engine only delivers the full 310 hp when fed premium fuel -- which most drivers do not buy. Ford will not say how much power the 2.3-liter EcoBoost loses running on regular, but some estimates say as much as 15 percent. 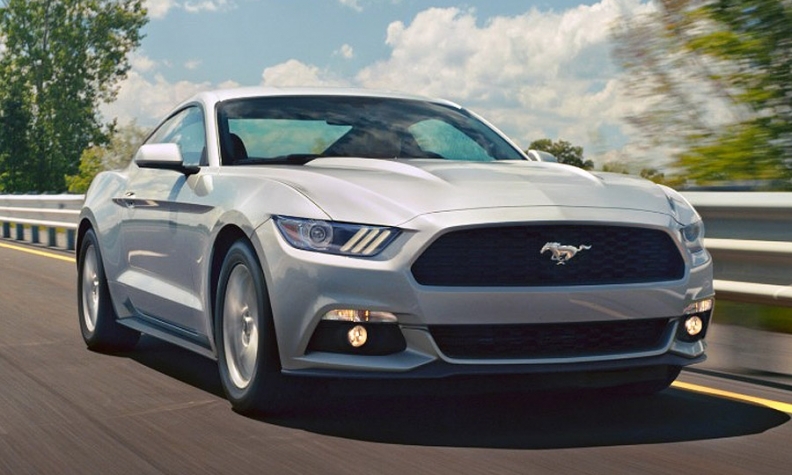 Mustang’s 2.3-liter engine is capable of 32 mpg highway, but that engine is a $1,500 option. 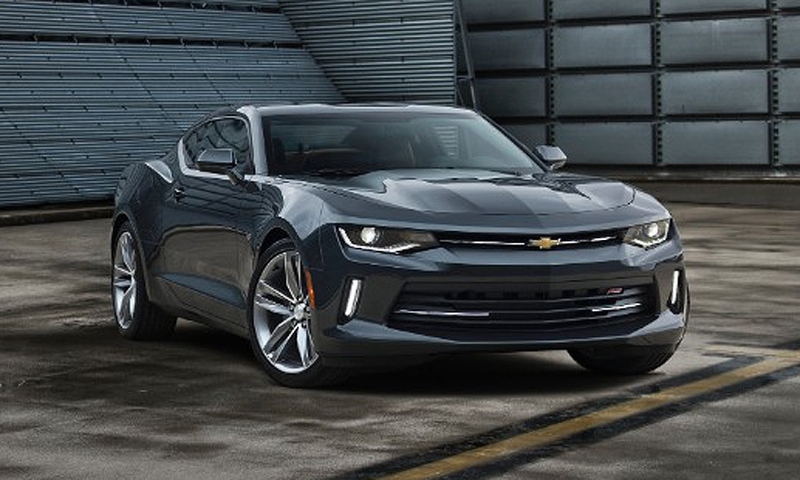 The 2.0-liter in the Camaro, Chevy says, will deliver “more than 30 mpg highway” and is the standard engine. Chevy also will offer its cylinder cutoff system, active fuel management, on V-6 and V-8 engines. Front, MacPherson struts with dual lower ball joints, twin-tube struts and direct-acting stabilizer bar; rear, independent five-link with twin-tube shocks and direct-acting stabilizer bar. Brakes: Four-wheel disc, all models. Front, double-ball-joint independent MacPherson struts with lateral links and stabilizer bar; rear, integral link independent with coil springs and stabilizer bar. Brakes: Four-wheel disc, all models. Advantage: Camaro -- by two gears. 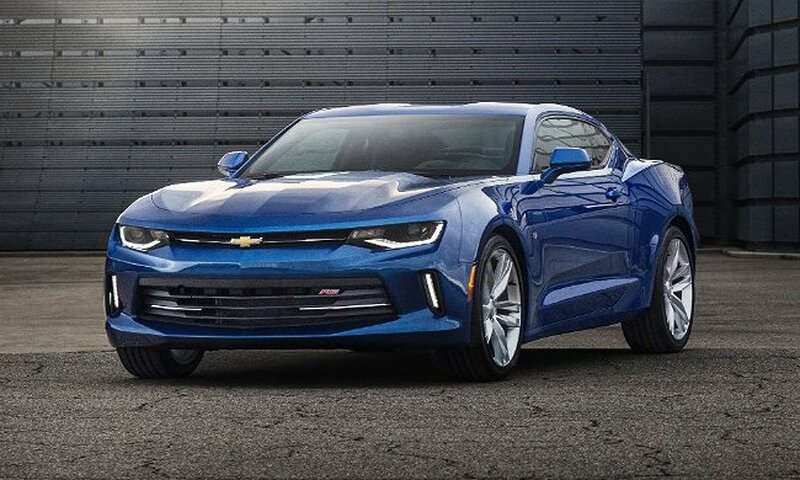 Camaro and Mustang likely will get 10-speed automatics in a couple of years when the jointly developed Ford-GM 10-speed rear-wheel-drive automatic is in full production. 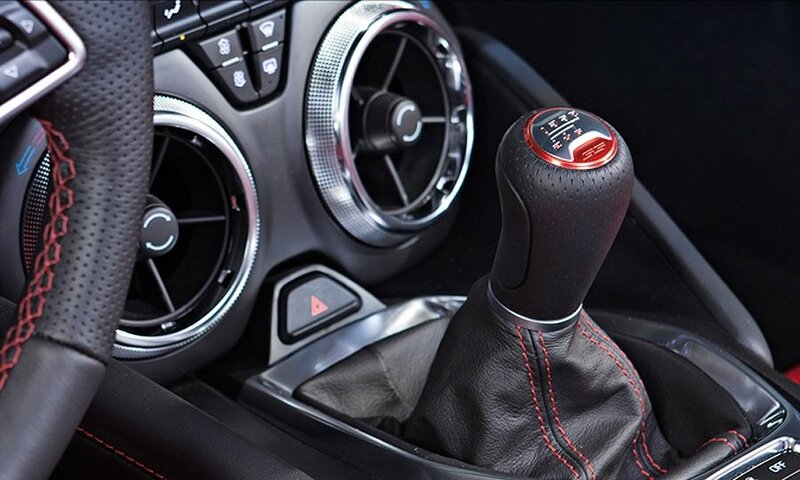 For now, Camaro’s eight-speed automatic bests the Mustang’s six cogs. And that should pay fuel economy and performance dividends. The drag coefficient on the redesigned 2015 Mustang has improved about 3 percent over the 2005-14 model. Advantage: Mustang -- for now. 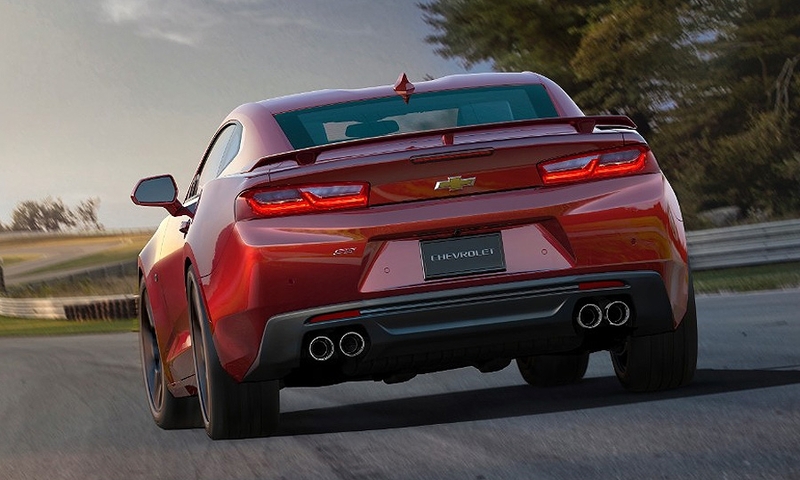 We won’t know how well Chevy engineers tuned the Camaro’s suspension until the car gets closer to launch. We do know that the new Mustang’s independent suspension has been cited for providing the best handling performance in the car’s 50-year history. Advantage: Camaro. Six years ago, the Mustang had a sizable curb weight advantage over the Camaro. But now these rivals are going in opposite directions. 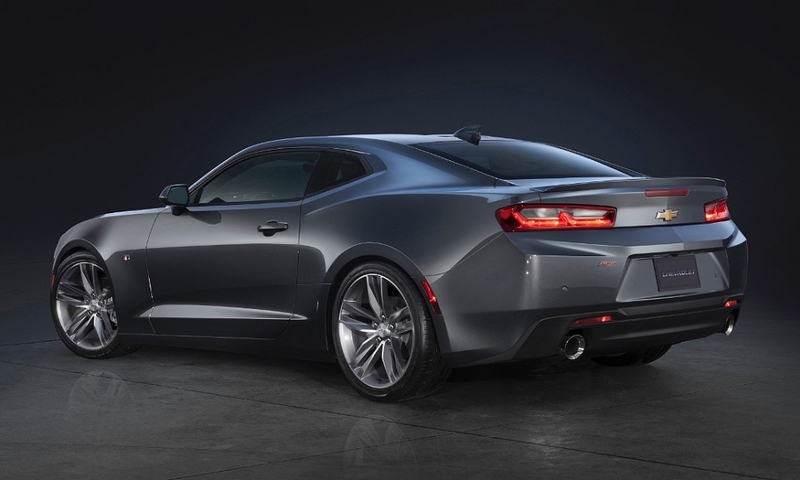 Chevy shaved at least 200 pounds from the 2016 Camaro. 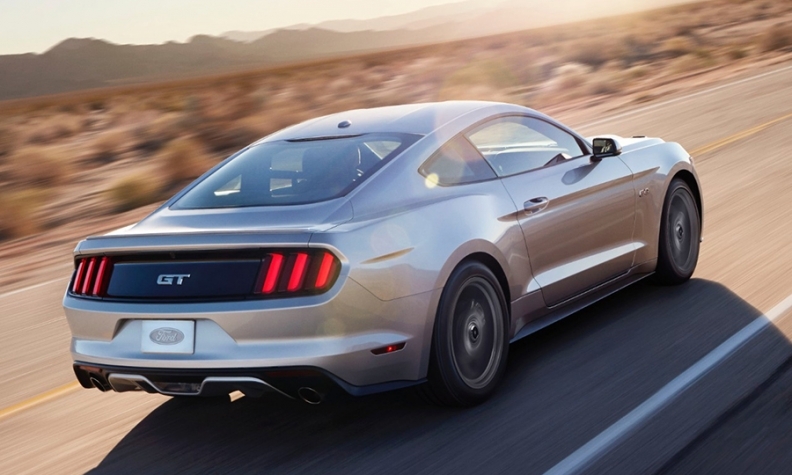 Most 2015 Mustang models added bulk over the 2014 version, thanks to the independent rear suspension and new features. Advantage: Mustang. 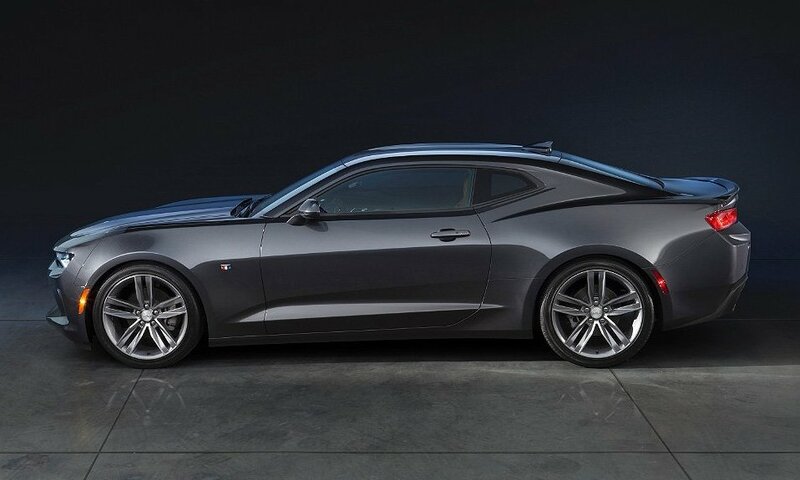 Since the Camaro returned in 2009, the coupe has been criticized for the massive blind spots caused by the thick rear roof pillars. 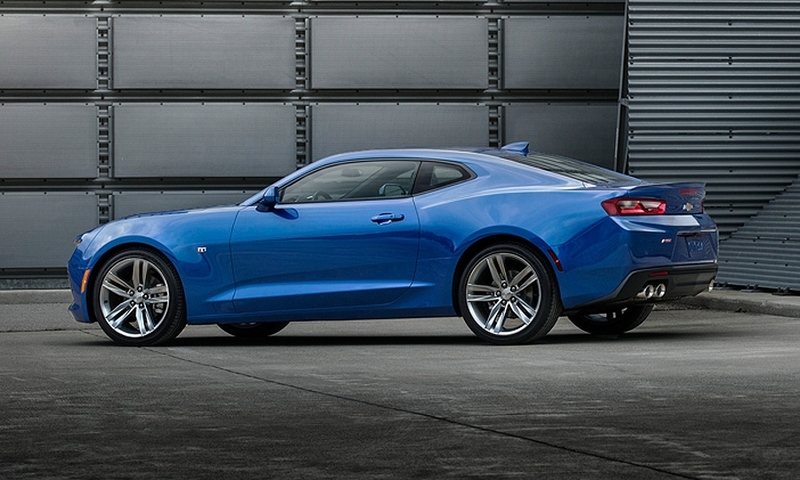 That basic shape remains for the 2016 Camaro. The Mustang’s large sloping rear window helps improve visibility. Neither car offers great visibility with the convertible top up.